Includes 7 minifigures: a ride operator, mom, dad, boy, girl, grandmother and a granddaughter. The Carousel features a large textile canopy, ornate, reflective rounding boards with blue and gold detailing, reflective center panels, 2-level deck comprising a raised boarding platform with handrail and a main platform with 5 buildable animal rides, including a white swan and 4 moving animals: an elephant, tiger, flamingo and a frog. Also features a sturdy, buildable base for easy transportation. Buy your ticket at the booth, take the stairs to the boarding platform and choose your favorite animal ride. Turn the crank and see the elephant, tiger, flamingo and frog move up and down as the carousel rotates. Enjoy an ice cream, candy or a delicious hot dog as you watch the whirling carousel. Accessory elements include a camera, ice cream, candy and a hot dog in a bun. This set includes more than 2,660 pieces. New-for-June-2017 decorated elements include printed tickets and printed storybook tiles. Includes lots of molded golden elements, reflective golden labels and medium-blue/dark-blue elements. 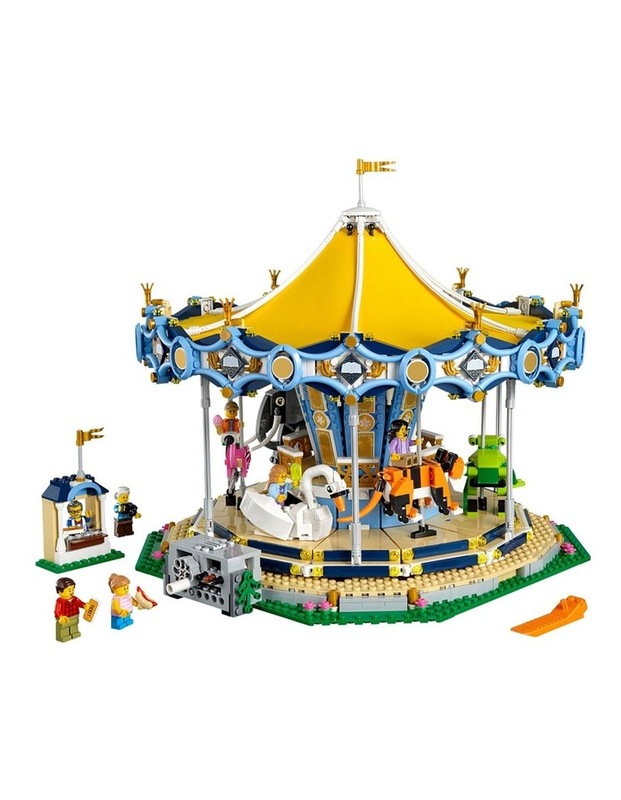 Motorize the Carousel with the LEGO Power Functions 8883 medium motor and 88000 AAA battery box (not included). 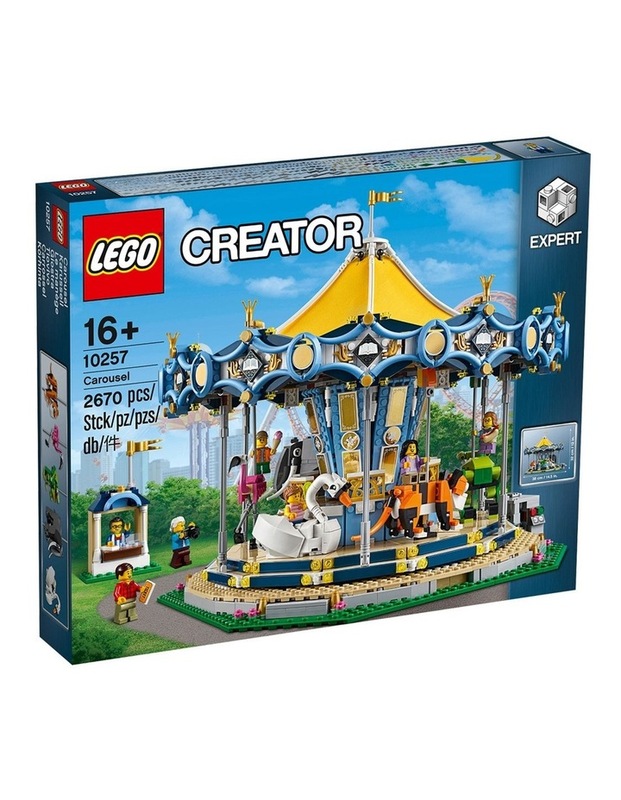 Collect and build an entire fairground with the LEGO Creator Expert 10247 Ferris Wheel. Measures over 12'' (32cm) high, 14'' (38cm) wide and 13'' (35cm) deep.